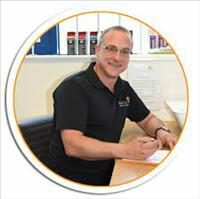 Matt is a very hands-on physiotherapist and has 12 years experience working as a Chartered Physiotherapist. Matt set up Elgar Physio in 2009, having previously worked in the NHS. He also took a further qualification as a Sports Massage Therapist in 2008, after qualifying as a physiotherapist in 2004. Aside from attending courses yearly for continuing professional development, he has a personal interest in suspension training (e.g. TRX) for core stability and rehabilitation, and kettle bell training for strength, conditioning and rehabilitation. He has attended advanced level courses in both, enabling him to teach these techniques effectively and safely. Matt does not favour the high-energy manipulations that some therapists specialise in. He prefers the safer joint mobilisation techniques and uses soft-tissue techniques, muscle release techniques and massage. Ten years of experience and training have developed a high level of expertise and Matt aims to concentrate on personal training for clients in the future.